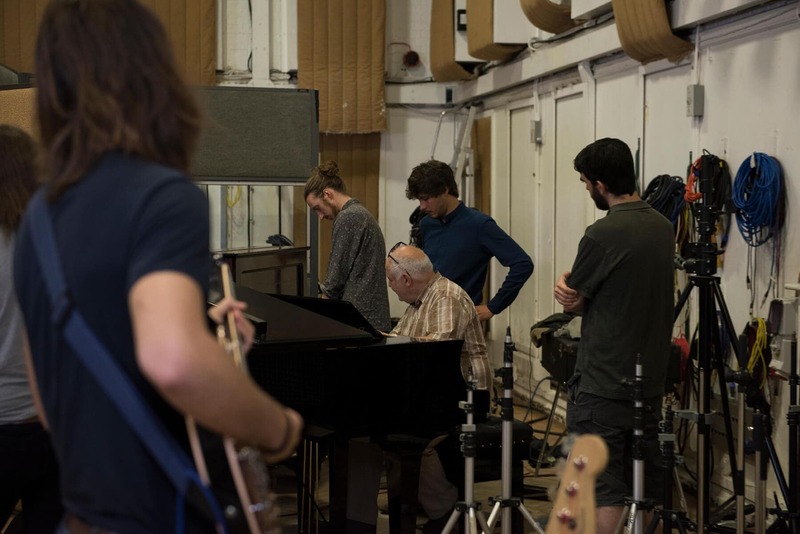 We were excited to be back in Abbey Road’s iconic Studio Two at the end of May with not one but two Grammy winning engineers and producers; the renowned senior engineer Haydn Bendall and guest lecturer and producer Ricky Damian along with the band ‘Bob and the Apple’. 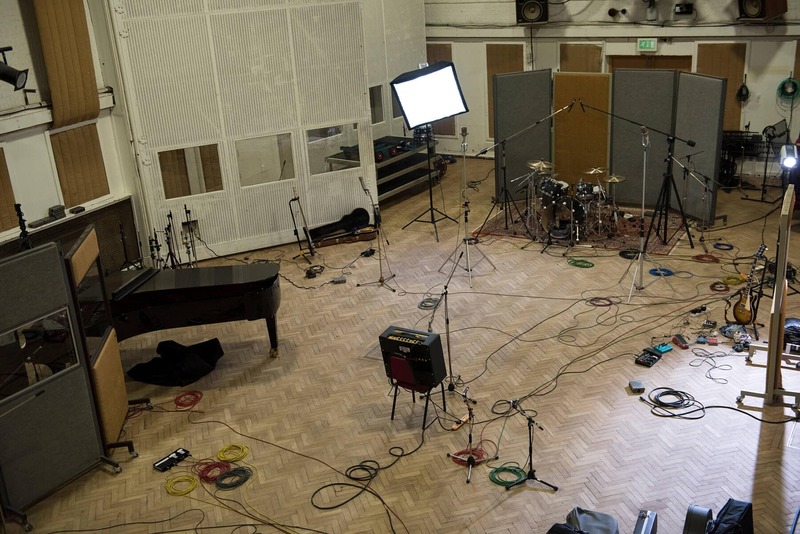 Haydn had previously worked at Abbey Road for more than a decade, recording with the likes of Kate Bush (on five albums including the Hounds of Love), XTC, Alan Parsons and on soundtracks for The Long Good Friday and Grammy and Oscar winning soundtrack The Last Emperor. Ricky has spent the last couple of years working closely with Mark Ronson, on projects including the UK number 1 Uptown Funk, the film score for Mortdecai, which was recorded at Abbey Road Studios, as well as with many other artists from Adele to Sampha to Mos Def. It was all hands on deck on Friday morning to make the most of the day in the studio, setting up and planning the session from 8:30am. Our students arrived in Studio Two for the start of what would be a productive and successful day for everyone, giving our students a recording they could take away to mix and edit. The session started with our diploma students spending time with Haydn in the studio setting up the instruments and variety of microphones. Haydn explained in detail which microphones worked best for each instrument and they collaborated closely with the band to ensure they achieved the best positioning. Our students took their place in the control room to observe how Haydn and Ricky worked with the band and recorded each layer of the track. Haydn explained in detail each stage of his approach to recording as the day unfolded. The session started by tracking the drums and bass together, and then onto overdubbing the keys. 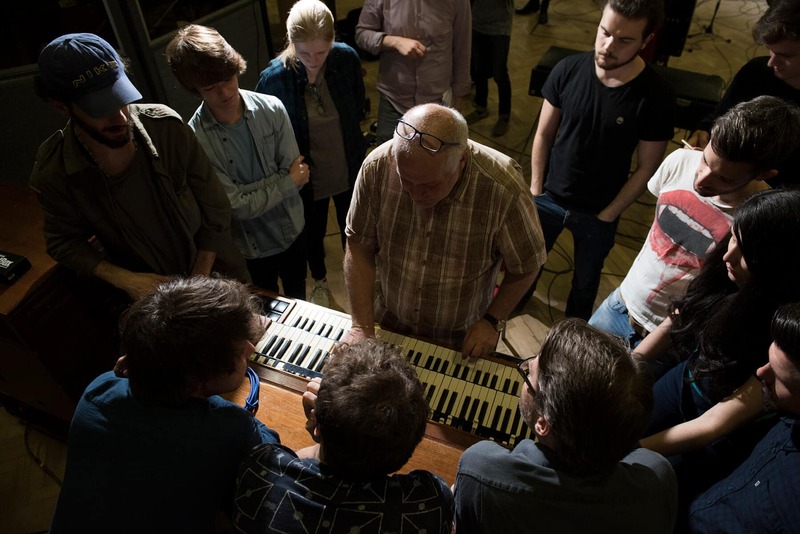 In the studio the band tested out both a Hammond Organ and a Rhodes to see which best suit the keys section for the song. After all the instrumental parts were recorded the band moved on to recording the vocals, fine tuning and overlaying the backing vocals for a special and intriguing sound that suited the track. It was an incredibly insightful day and a privilege to work alongside a professional such as Haydn, who really epitomises what it is to be a professional studio engineer. 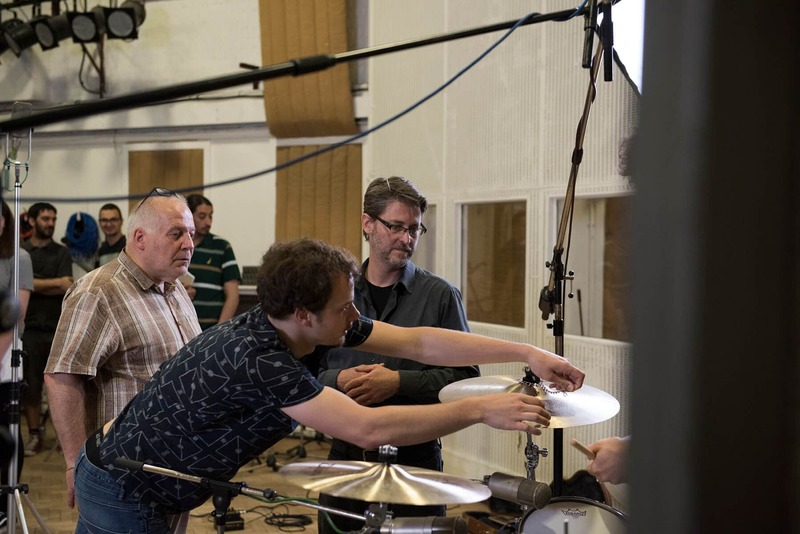 Our students were delighted to have the opportunity to work and learn from both award winning engineers and producers Haydn Bendall and Ricky Damian. If you want to learn from producers and engineers such as Haydn and Ricky and record in one of the world’s most famous studios then apply now for our next Advanced Diploma in Music Production and Sound Engineering starting in September 2017. Fill out the form below to visit our campus and studios.